PyQt is a Python binding of the cross-platform GUI toolkit Qt. It is one of the alternatives for GUI programming in Python to Tkinter, which is bundled with Python. Other popular alternatives are PyGTK and wxPython. Like Qt, PyQt is free software. PyQt is implemented as a Python plug-in. 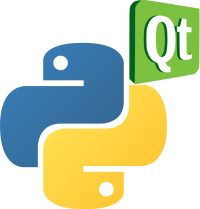 I started reading some tutorials on Python GUI programming and saw the Qt freamwork, I have heard also about Qt in my past, So I found a way that I can use PyQt for my python programms. While watching some videos on YouTube I saw this software called qt4-designer. It looked so easy to use and very user friendly, It looked like Visual Basic (I used to do some small exercise in visual basic back in the time) So I thought to give it a try. The first idea that I had was to do a “yum install qt4-designer’ but I couldn’t find the software so I thought to get the code and build it from source. I asked the guys at irc.freenode.net #fedora-kde if they have used qt4-designer and for the good somone respond. He said that the software I am looking for is already in the repo. It was very simple “yum install qt-devel” would install everything needed. So I got everything up and running in minuts and that thanks to a big community like the FedoraProject. Learning Python is EASY ! Here are some of the sources that you can learn Python for FREE ! For the first minuts Fedora 14 looks and feels stable, I didn’t check everything, things that I noticed were it comes with Python 2.7 and a new wallpaper. [root@skullnet ardian]# fdisk -l List the partition tables for the specified devices and then exit. If no devices are given, those mentioned in /proc/partitions (if that exists) are used.